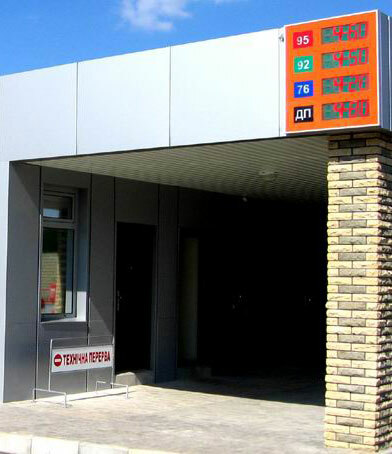 Price boards are manufactured in two versions: for outdoor and indoor application. 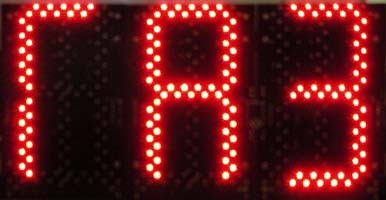 Price boards for outdoor application have a function of automatic brightness adjustment depending on external luminescence. 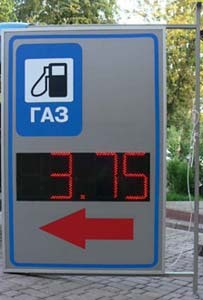 Change of information on a price boards is made through an interface cable (up to 1 kilometer length), using a radiomodem from distance of up to 200m, from a remote IR-panel or using buttons on the case. Protection against dust and moisture. 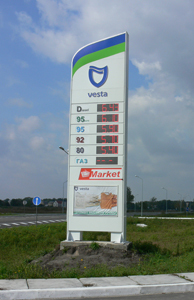 Upon request price boards can be made two-sided with any quantity of rows. 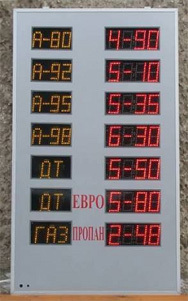 Upon request price boards can be equipped with creeping lines and/or electronic clocks. Colors of luminescence............ red, yellow, blue, green, white. 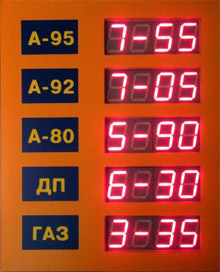 Indicating modules for price board can be delivered separately. Desktop price-board. Digit height - 20mm. 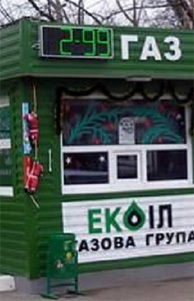 Names of fuels are engraved on the glass and can be highlighted with color tins. Digit colour – red, green. 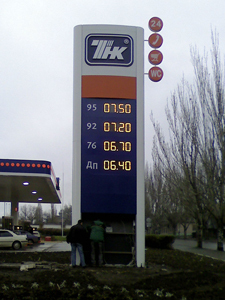 Capability to display the prices for some types of fuel consiquentially in one line. 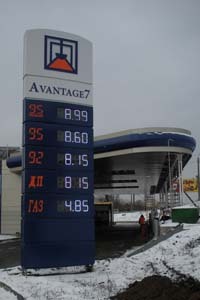 Described above price boards are standard products. 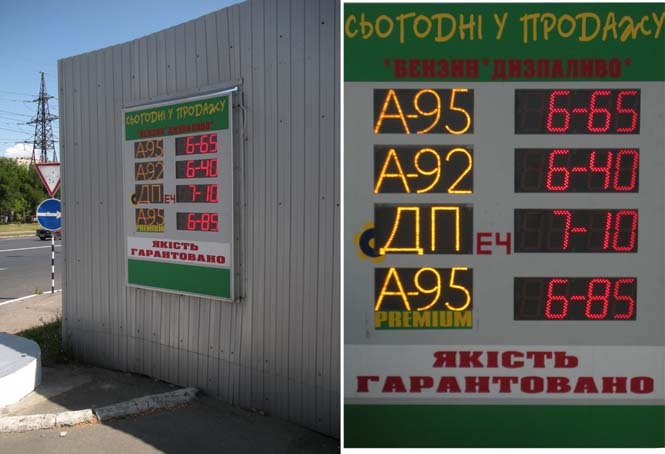 Upon request price boards can be made of a different size, with increased digit capacity of indicators, etc.